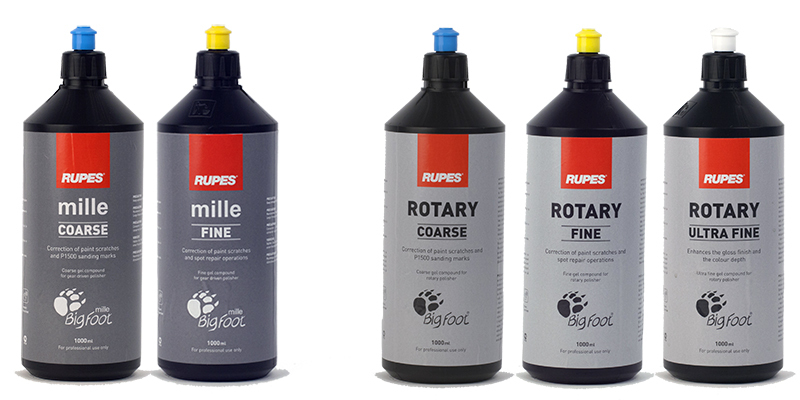 RUPES has been leading the way in machine polishing tool technology since its launch in 1951. Eleven years later, RUPES set a new standard bringing the first ever polymer-bodied TP/PC drill to the market. The plastic body made the tool significantly lighter, making it far easier for use over long periods of time, and the plastic also acted to increase electric insulation making it safer than ever to use. 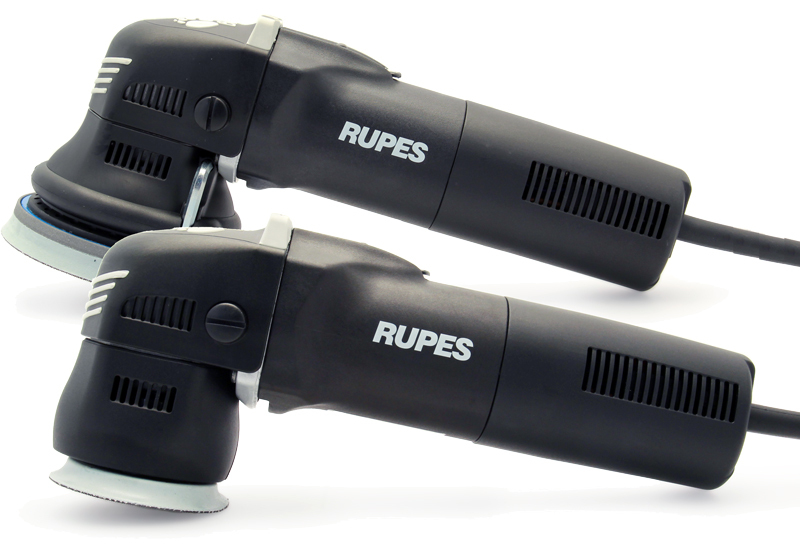 In 1968, RUPES launched the first electric random orbital sander. And so through the years, the innovation has continued. In 2008, the LHR 10 polisher was launched, featuring a 10mm random orbit throw – far larger than had previously been seen on a dual action machine. In 2010, the BigFoot brand took shape. 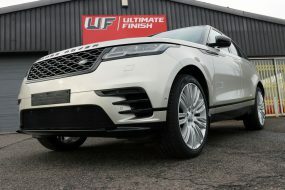 This range offered two random orbital polishers with differently sized throws: the LHR 21ES with a 21mm throw, ideal for bodyshops needing to cover large areas quickly; and the LHR 15ES with a 15mm throw, aimed at the professional car detailing market. Since then, the range has expanded to feature the BigFoot LHR 75E Mini, and the BigFoot LHR 12E Duetto. Both polishers feature a 12mm throw and are ideal for smaller, intricate areas; the random orbit and size of throw specifically designed for maximum user control. One of the most celebrated releases occurred in 2016 with the launch of the BigFoot Nano iBrid. 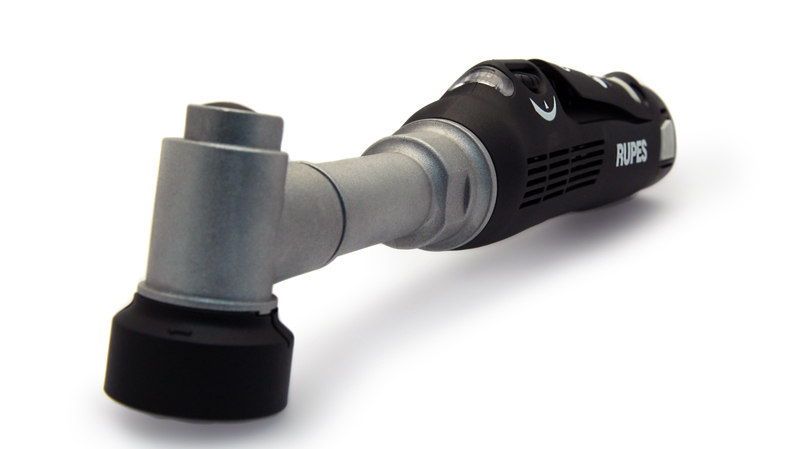 The first of its kind, this polishing tool can be operated connected to mains power, or using lithium-ion battery power. Additionally, it has selectable modes allowing the user to switch between a rotary and a random orbit motion. In random orbit mode, the operator can choose between two throws: 3mm or 12mm, depending on the job at hand. Truly a revolutionary product that has since become a ‘must have’ for many professional detailers and car care enthusiasts alike. 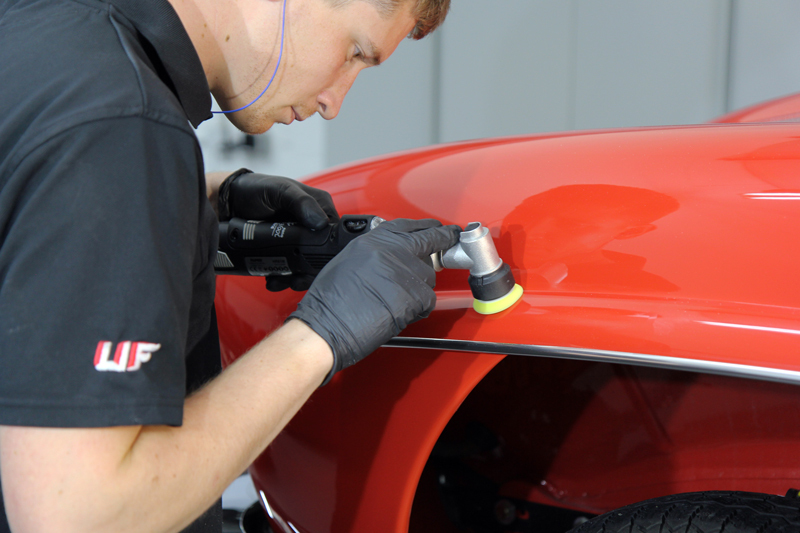 Rather than simply designing tools, the RUPES team pride themselves on delivering complete polishing solutions. As such, they have always developed compounds and pads specifically to complement the motion and speeds of their polishers. So, for a long time, the machine polishers were only available as part of a kit. However, since the launch of the second generation of LHR 15 and LHR 21, many of the polishers are now available separately. 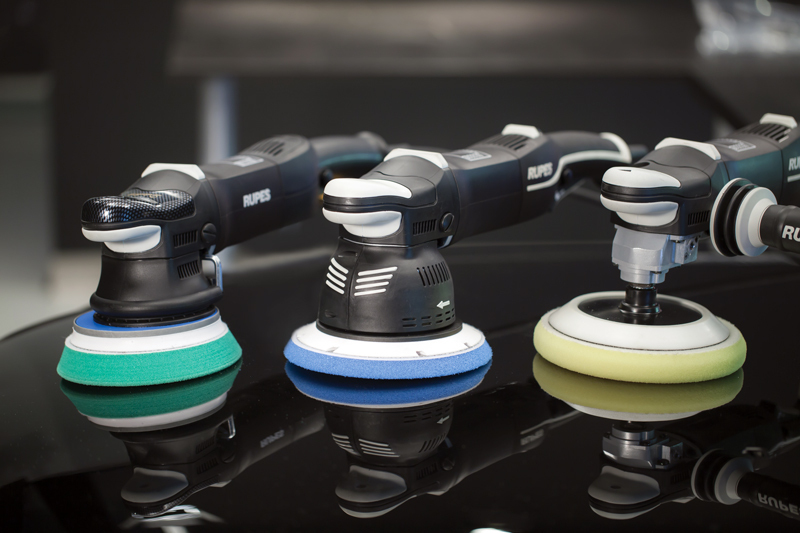 Expanding the range in 2017, RUPES is announced the launch of two new polishing systems, one based around the LK 900E ‘Mille’, a gear-driven random orbital polisher, and one system based around the all-new LH 19E rotary polisher. The ‘Mille’ bridges the gap between a free spinning dual action (DA) and a rotary polisher. In fact, the Mille was designed with the aim of providing a forced rotation machine that offered faster-cutting capability than other gear driven models and also faster cutting than the BigFoot LHR 21ES MK II or the LHR 15ES MK II. The shorter throw and higher oscillations per minute (OPM) contribute to the Mille’s exceptional cutting power and makes it ideal for working on highly contoured surfaces. With the toothed gear forcing the rotation, the results are much more uniform than with standard DAs. Pressure can be applied without the machine stalling or slowing down, further enhancing cutting power, but the oscillating pattern allows heat build-up to be far more easily controlled than with a rotary polisher. 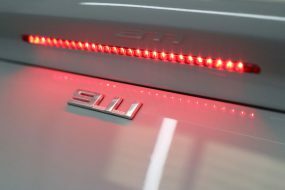 The RUPES-designed electric motor allows the Mille to operate in a clockwise rotation, reducing unwanted lateral movement (steering) and therefore reducing operator fatigue, so it’s far more comfortable to use, particularly for extended periods of time. Thought has also gone into the compounds and pads to complement the higher OPM of the Mille. The foam pads are a proprietary foam construction and have a lower profile than standard foam polishing pads. This reduces distortion of the pad caused by the motion and torque produced by gear-driven polishers as well as increased stability and control. The compounds too, have been formulated with polisher’s action in mind, taking into account temperature generation, cutting ability, working speeds and the amount of energy delivered to the paintwork during detailing. 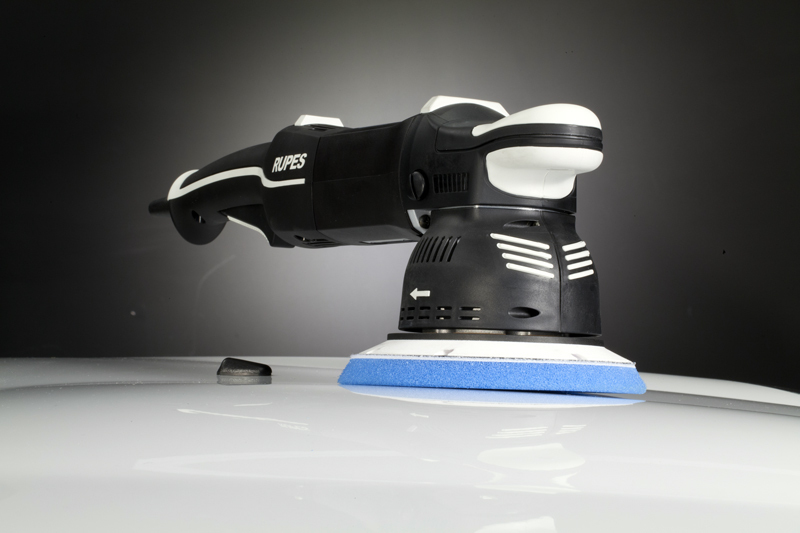 The new RUPES rotary polisher has a powerful motor for high torque capability and a lightweight housing. As a result, the LH 19E is one of the most capable and manoeuvrable polishers available. 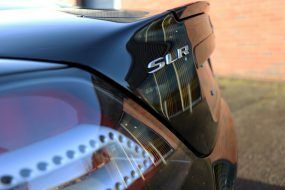 A lot of time and effort went into the development of the LH 19E as RUPES were determined to release a polisher that added something new, rather than simply being an ‘also ran’. The LH 19E is now the third generation of double gear reduction rotary polishers. One of the main benefits of this rotary is the smoothness in the operation. A key new feature is the machine’s ability to run at low revolutions per minute (RPM), far lower than a standard rotary polisher, to around 100 RPM. It’s not short on power though, as the LH 19E uses a powerful RUPES-designed 1200 watt motor. 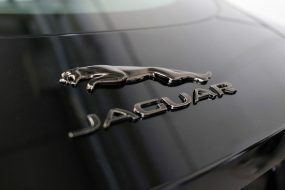 What this translates to is the ability for the detailer to double the torque (2 to 1 reduction as with a transmission) and double the motor speed, resulting in better cooling, whilst providing an enhanced level of torque. New pads were designed to optimise the rotary action of the LH 19E throughout the speed range, depending on the desired outcome. Open cell foam pads minimise heat production and their profile thickness reduces the chances of accidental contact between the backing plate and the working surface. Foam pads are available for coarse cutting work (blue), polishing (yellow) and finishing (white). The compounds have been formulated to produce maximum efficiency on any paint finish. In addition, they’re paint-shop safe. 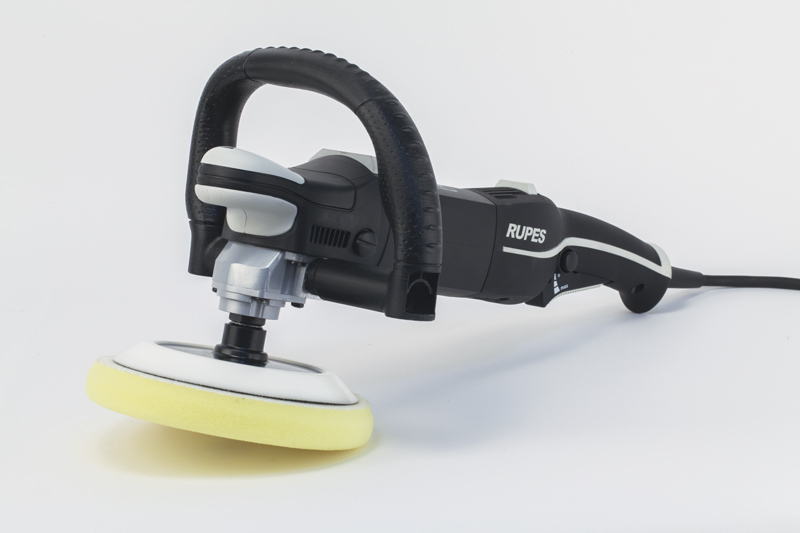 RUPES is now offering a range of wool pads compatible with both the gear-driven Mille and the LH 19E rotary as well as with the LHR 15 and LHR 21 polishers. These pads are constructed from 100% natural fibre and bonded to a foam layer on a polyester interface. The blue foam on the coarse pad is stiffer and denser, for better translation of the machine’s action to the work surface, proving enhanced cutting power. The fibres are of two lengths for a dual density surface, again, enhancing cutting and polishing capability over that found with traditional wool pads. The yellow foam on the yellow wool pad is more flexible, allowing for lighter polishing and more control over contoured surfaces. The wool pads can be found supplied with the Deluxe version of the Mille and LH 19E Kits. 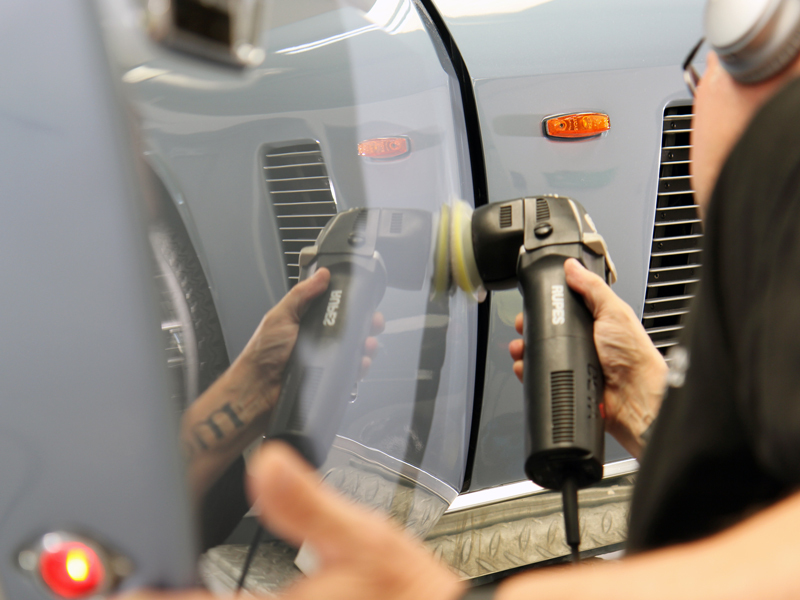 The key to the RUPES range is that they develop entire polishing systems rather than only machines, with each component specifically designed to compliment the others. The LH 19E and LK 900E systems are no exception. Even the motors that power their polishers are designed and made in-house, (a unique feature of all the BigFoot range) so there’s a complete synergy between what the products are designed to achieve and how they operate in reality. With the LH 19E, the really impressive factor for me is the ultra-low rpm setting – unheard of with a rotary polisher- which allows for really gentle machining. 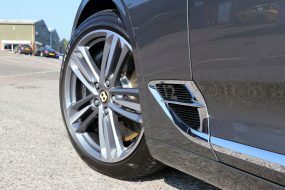 For me, the LK 900E really scores in its ability to access so many areas of a car – it gets right into concave curves and tight corners, and can get closer to edges than the LHR 15 or 21. I’m really looking forward to adding it to my kit! For an opportunity to see the new RUPES polishing systems in action, book a place at the next official RUPES Training Day which is being held on Friday 28th July at UF’s headquarters at Brands Hatch, Kent. Places are limited to 15. 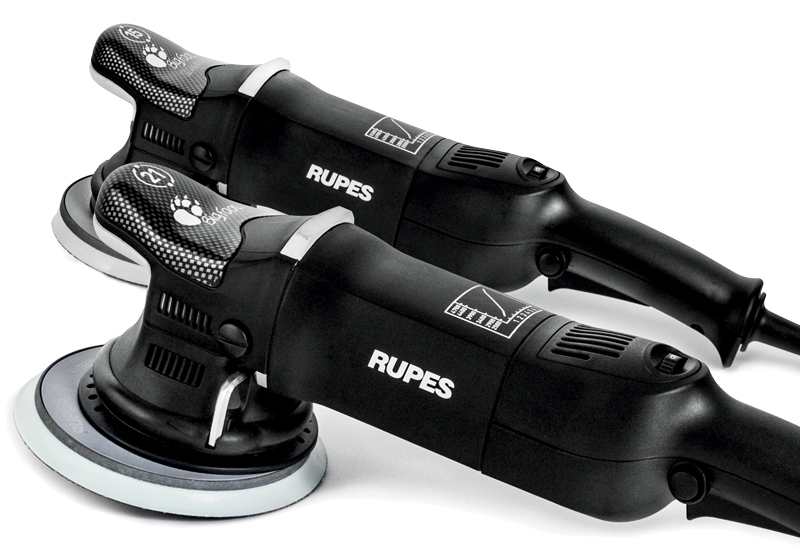 The LK 900E ‘Mille’ and LH 19E Rotary polishing systems are being made available by RUPES in Standard and Deluxe Kits shortly. Pre-orders are being taken now at UF for delivery in August.